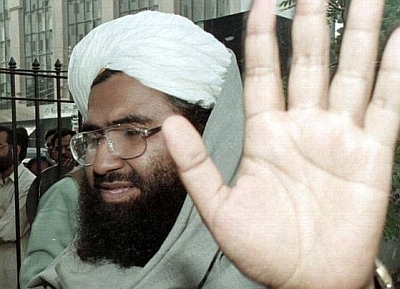 Reacting guardedly to India’s diplomatic protests over its move to block United States resolution to list Pakistan-based Jaish-e-Mohammed leader Masood Azhar as a terrorist, China on Friday hoped all members of the United Nations Security Council who are part of the anti-terrorism committee will follow rules. “Will check on reports of India’s diplomatic protest,” Chinese Foreign Ministry spokesman Lu Kang told media briefing in Beijing when asked about Thursday’s demarche by India over China putting a technical hold of the United States resolution in the 1267 Committee of the UNSC to designate entities involved in terrorism. Lu said China already reiterated its stand on its technical hold two days ago. “China is a responsible member of the UNSC as well as a subsidiary organ. China has always been acting in accordance with UNSC resolutions and rules of procedure of its subsidiary organs. We hope that all members of the Security Council and its affiliation would follow the rules of the procedures,” he said. On February 8, Lu defended China's move to block a US attempt to list Azhar in the UN saying that the ‘conditions’ have not yet been met for Beijing to back the move. He said Beijing resorted to this move to allow the ‘relevant parties’ to reach a consensus. “Last year 1267 Committee of the UN Security Council has discussed the issue regarding listing Masood in the sanctions list. There were different views with no consensus reached,” Lu said. “As for the submission once again by relevant countries to list him in the sanctions list, I would say the conditions are not yet met for the Committee to reach a decision,” he said. This is the second year China has blocked attempts to bring about a UN ban on Azhar which would warrant Pakistan to act against him. Jaish-e-Muhammad, a terrorist organisation based in Pakistan, has already been listed by the 1267 Committee. India moved for UN ban against him in March last year accusing of masterminding the Pathankot terrorist attack. China first blocked for six months followed by three months technical hold, which ended on December 31 last year. The US along with the United Kingdom and France approached the Committee again for the ban and Beijing once again put a six months technical hold on it.